The area is so large we have a second trip planned to re-visit the caves and northern lave tube channels. We spent the first part of our morning in what is known as the lava falls. 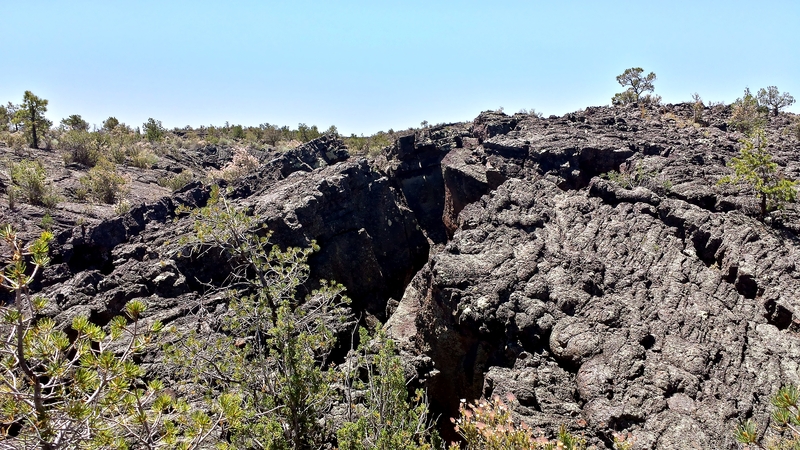 This was a 1 mile loop trail through a portion of the lava flow that poured out of McCartys Crater 2,000 to 3,000 years ago. 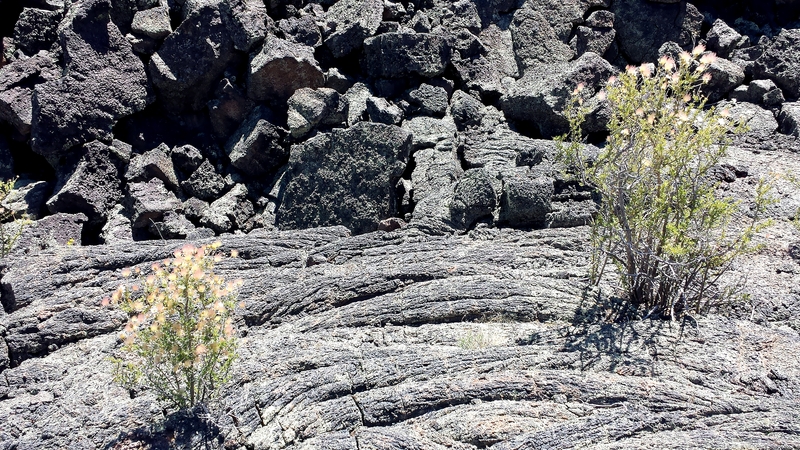 Because of the dry climate the lava has aged very slowly, in fact the ranger taking us through the flow referred to the area as the fountain of youth because things take so long to mature and age in the climate. 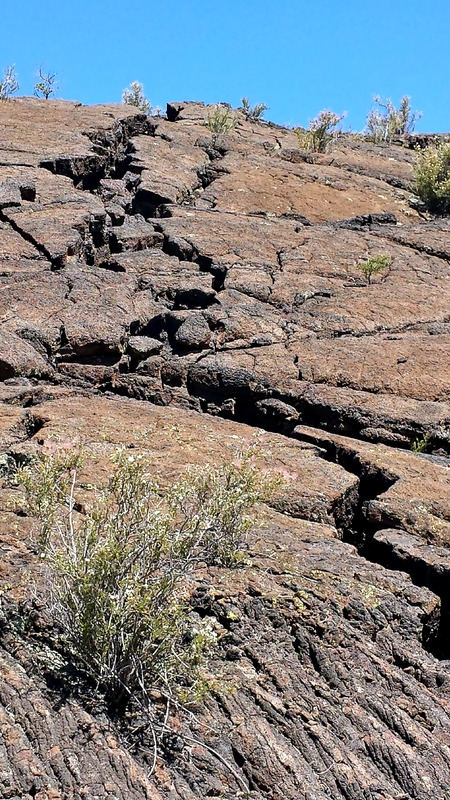 The landscape intensified the early morning heat and left us feeling vulnerable as ominous cracks spread across the landscape, revealing the cavernous vulnerabilities just below us and the jagged sharp crust. 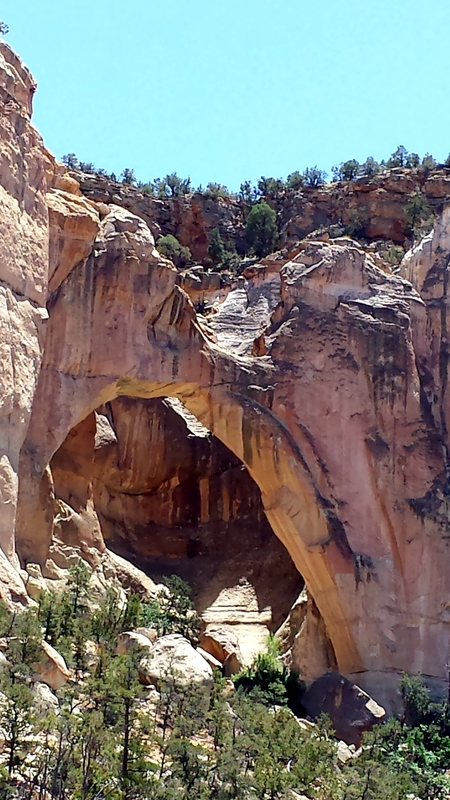 The heat of the area is amazing and we look forward to the cool airs of the caves the next time we visit El Malpais. We have an amazing trip heading to Northeastern New Mexico visiting Abiquiu and Ghost Ranch, the lands most know for the way they were captured by Georgia O’Keeffe. 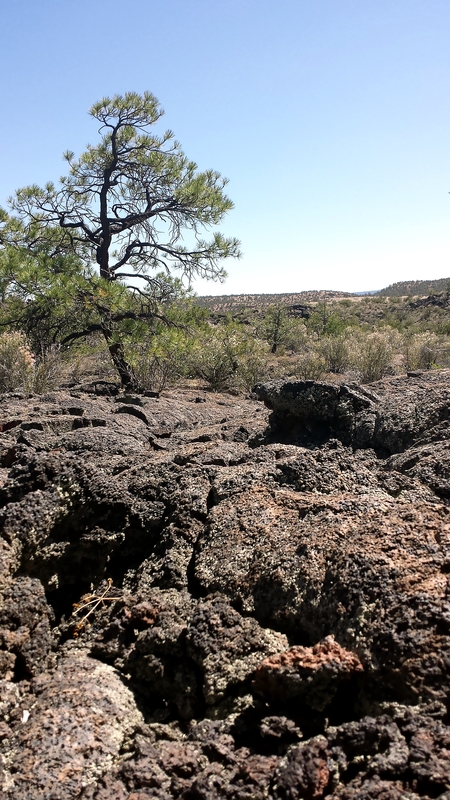 Read about my recent journey to El Malpais National Monument for the Walking Enchantment Project!